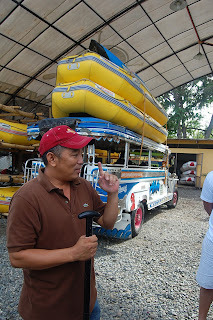 Me being the organized planner, already had our river rafting tour booked even before leaving Camiguin. So when we got to Cagayan De Oro, everything was already scheduled. When Sir Gerome, the coordinator of Great White Water Tours said that they were picking us up at 7 am, he actually meant on the dot. 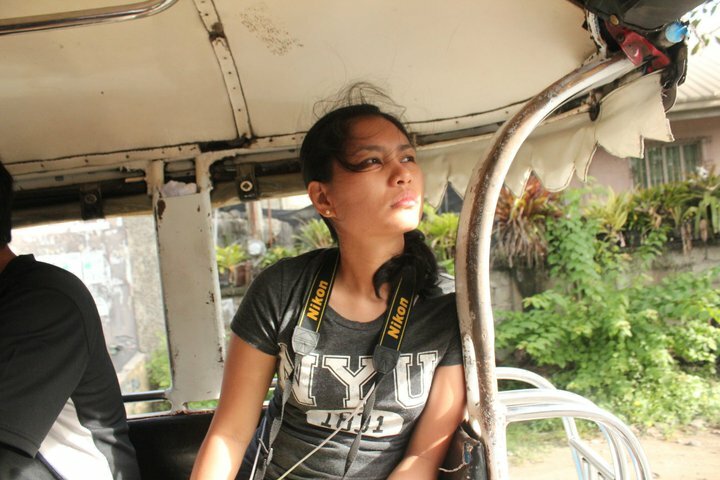 In short, we got into the GWWT’s Jeepney pick-up by 7:10 am. We boarded late due to unfortunate events. Sir Gerome got a little grumpy with the ‘tardiness’. But we’ve managed to put him aside since we already extended our apologies. Then again, we weren’t the only ones who boarded the jeep late. Now, all of us decided to book the Expert Level, instead of the Beginner’s level. 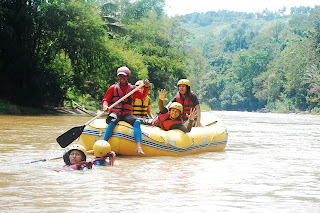 We were encouraged to take the former so that we may be able to enjoy what the whole rafting experience had to offer. We were also assured that taking the expert level was something that we could handle despite having no previous rafting experience. So we took on the challenge, and were shockingly challenged out of our wits! The trip from the headquarters of Great White Water Tours (near the airport) going to the rafting site took more or less an hour. I wasn’t able to take the exact time since we were advised to leave our valuables at the main office (so that included our phones, watches, etc. ), unless we wanted to risk losing our stuff during the rafting tour. Our excitement and anxiety escalated even more when we started seeing the river. I almost backed out when I saw how big and strong the rapids were. But of course, I knew that I wouldn’t be able to run away from this one. After a brief orientation on the safety rules, we were finally lead to our designated raft. The four of us, plus the two guides had an inflatable raft all to ourselves (the other group had eight people in one boat). Now getting inside the raft itself was a different experience on its own. I had mixed emotions. I didn’t know if I wanted to scream or cry. I didn’t want to sail away into the river. But I simply had no choice. Well, I had a choice but I opted not to waste the money that I paid for just to experience Cagayan De Oro’s 22-km river. As soon as we paddled our way into the river, our adventure began. There really was no turning back. Oh, and we’ve heard of those sudden flips and turns from friends who’ve already tried rafting. But of course, we had to experience all of it ourselves to validate their stories. 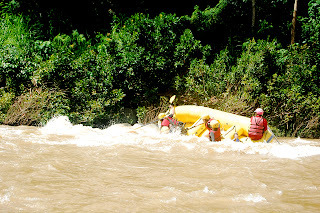 I kept asking ‘what’s there to expect' and 'what’s going to happen now?’; and even before I got around to asking what should be expected from all the paddling and rapid-anticipating, our guides had our boat tilted without our consent! 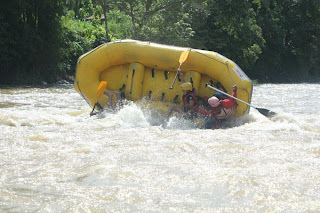 After a mere 10 minutes in the river, we got flipped out of our inflated boat. We literally flew out of it and immediately felt the hard plunge into the cold river water. Yes we drowned! And I for one, had no sight of the world for about 5 seconds. I was submerged under the water for a few seconds before feeling that strong tug on my life vest. All four of us in the boat fell down. But the rafters were real professionals so they instantly got to our rescue before we could even go far. The currents were a bit strong. But our rafting guides knew better. GWWT has always been recognized for their safety measures; and from our first flip into the water until the succeeding ones, we became fully aware that we were going to be out of harm's way. Now, the first flip was a scary one. And as my first instinct to survive, I must have held on to everything that I could get my hands on before succumbing to drowning. There were nothing to hold on to so I just let myself drift. Good thing I remembered not to fight the current. That was one of the safety tips. Don’t struggle in the water and let it bring you up the surface. After climbing back into the raft, we immediately asked the guides to not surprise us with any more of those unexpected tilts. But of course, the rafters wanted to give us our money’s worth so they gave us a few more later on. So for maybe 3-5 tilts, I succeeded to stay on the raft for the last two flips. I was just grateful enough to have survived 3 hours worth of rafting, as I would never do it again! At least this time, I could definitely say that I’ve done another extreme adventure. 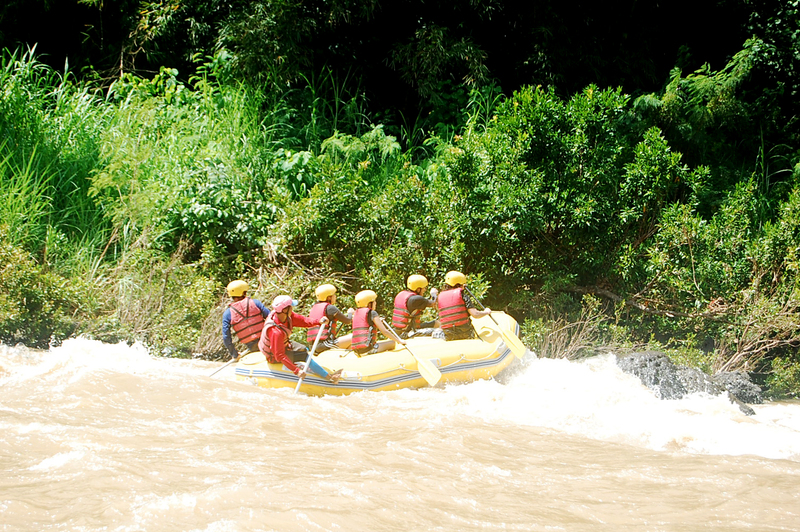 The rafting tour was a fun experience despite us drowning from all the sudden turns and tilts. Our guides were so much fun too. 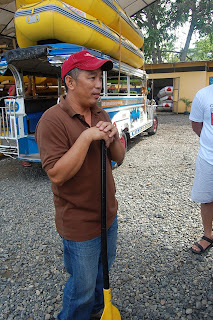 Our guides, Kuya Loloy and Kuya Bugoy, never failed to make us laugh with their stories and jokes. We literally enjoyed their company throughout the whole tour. The whole trip consisted of 2 stops. The first one consisted of a snack-break. And when our rafting adventure ended, we rode the jeep again and went back to the GWWT headquarters. 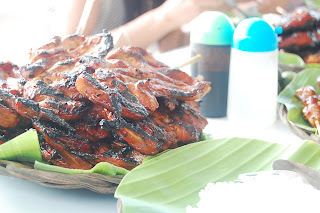 Our package included a buffet lunch that served grilled BBQ and Chicken! Seaweed was abundant too. Plus Coke for drinks. We definitely felt that everything was well paid for. Not only were we served with good service and attention throughout the trip, we were also served with great tasting food. It was a 5 star service! We decided on the last minute not to hop on the jeep back to the city, but to go directly to the Dahilayan zipline site in Bukidnon. 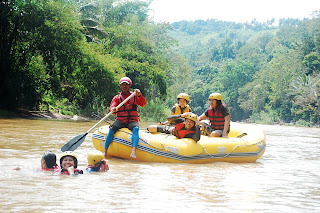 The good thing about it was that the rafting company also had connections with the famous park. 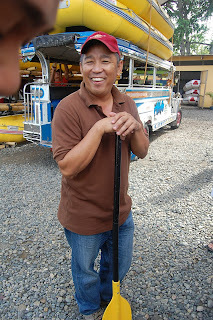 Sir Gerome was able to inform someone from the company to expect our arrival. So as soon as we confirmed, he contacted a friend who owned a taxi to take us straight to Bukidnon. From there, another road trip started. The whole road trip to Bukidnon, coming from Cagayan De Oro took about 2 hours. It probably took longer since it was also raining at the time. We also didn’t expect the foggy condition in Bukidnon. Anyway, the drop of temperature in this province was already comparable to that of Baguio’s. It was extremely cold, and to think we only wore shorts going there. Good thing Rubel brought his hoodie, as it saved me from freezing. 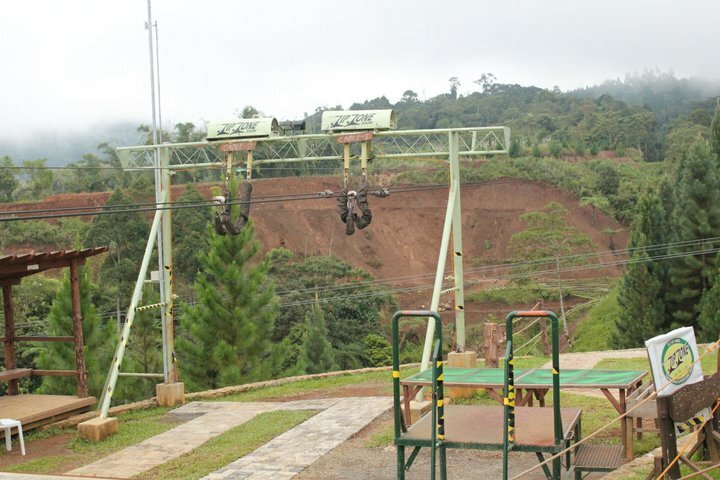 Good thing the zipline site was informed of our visit as they were just about to close (closes at 4pm). So as soon as we paid, we headed to our first zip line post. 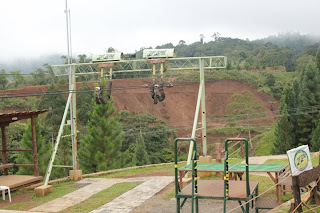 There were exactly three zip lines (320m and 120m), and our last stop was the longest in Asia by far (840m). 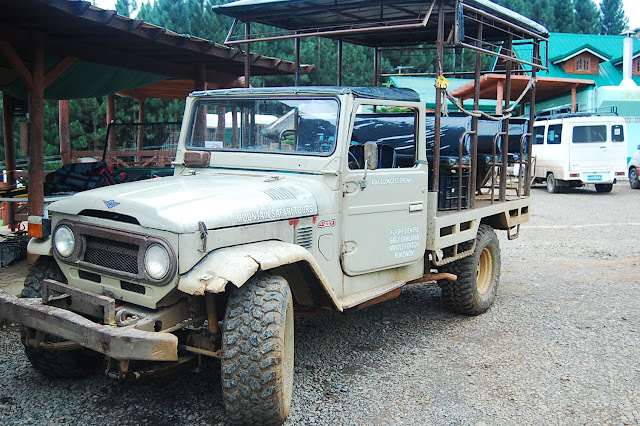 We also had the opportunity to ride this huge jeep that helped take us to the summit of the 840m zip line post. The whole 840m ride took more than a minute. The ride actually felt scary and fun all at the same time. The only bad thing about the final stop was that when I got my photo taken, all I had for a background was the thick fog. The weather was bad then. 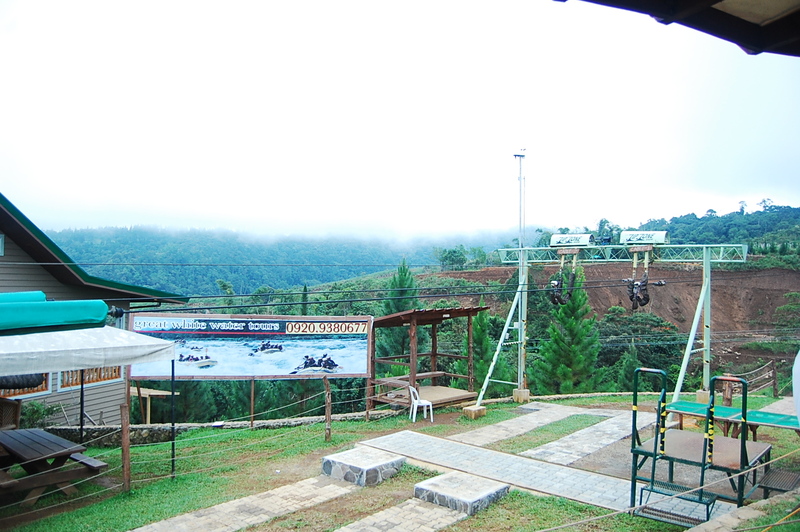 But we were grateful to have been given the chance to experience Asia’s longest zipline nonetheless. 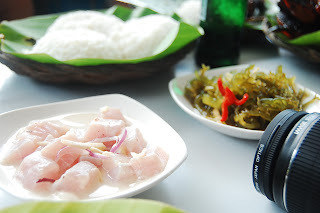 At least we could say that our 2-hour trip to Bukidnon was not put to waste. We probably slept for 2 hours during our trip back to CDO (we rode the same taxi). As for the fare, it cost us Php500 per way. So for four people, we only had to pitch in Php250 each for a round trip. Anyway, we got dropped off at our inn before deciding to get dinner at Limketkai. On our last night in CDO, we decided to eat somewhere fancy. Bigby’s looked nice and affordable so we gave it a try. Glad that we were not disappointed. They were conducting a promo at the time. So anyone who wanted to paint on their wall will be featured in their Facebook page. The person who gets the most likes with his/her design will win. All but me painted on the restaurant wall, as I was already too tired to do anything. Everyone joined in on the fun and weren’t really in it to win the contest. 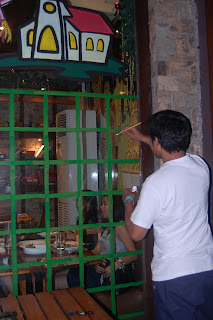 They just painted a part of the wall while waiting for our food to be served. When our food came, they already finished their artworks. After dinner at Bigby’s, we decided to pay Candy’s another visit. But this time, we only ordered a few beers and a few specialty cakes. After our rendezvous with our favorite CDO restaurant, we decided to go back to Travelers Pod to finally get that much needed snooze time. It was in fact, a really jam packed day. So on our last night, Rubel and I decided to just watch District 13 to lull us to sleep. I was there last year, too bad we did not got a chance to experience water rafting, hirap talaga pag work related ang punta. oh, I heard bugsay was one of the best rin. =) and sayang naman, yung expert level super exag sa flips.. at some point niRegret ko magexpert level dahil i kept drowning after every flip. 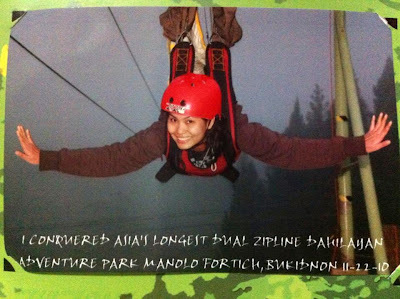 At least next time, diko na kailangan gawin ulit.. crossed that out from my bucket list na.. hahahah! hehe. Saya nyan! pure adrenalin rush! 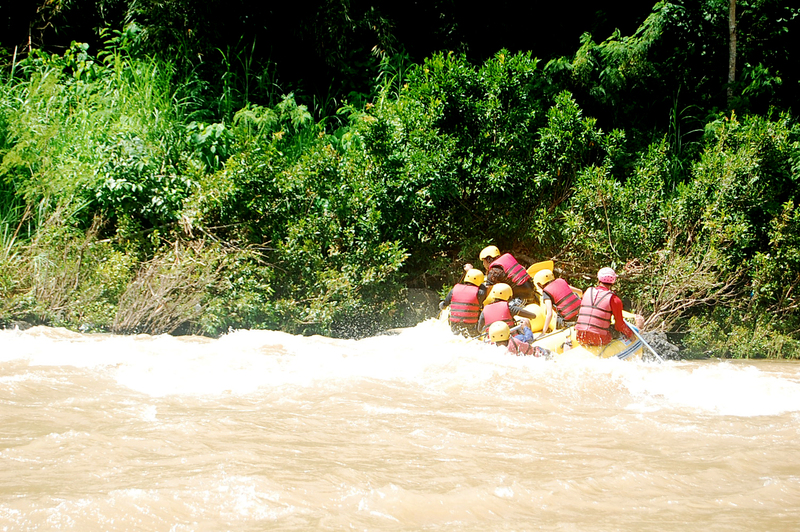 White Water Rafting is a must try activity when in CDO. Remembered that white river rafting, nananakot un guide while riding the river. Sunod naman kami sa mga pinapagawa nya kasi nakakatakot nga. I think ginagawa nila sa lahat un para may thrill. Hehe. 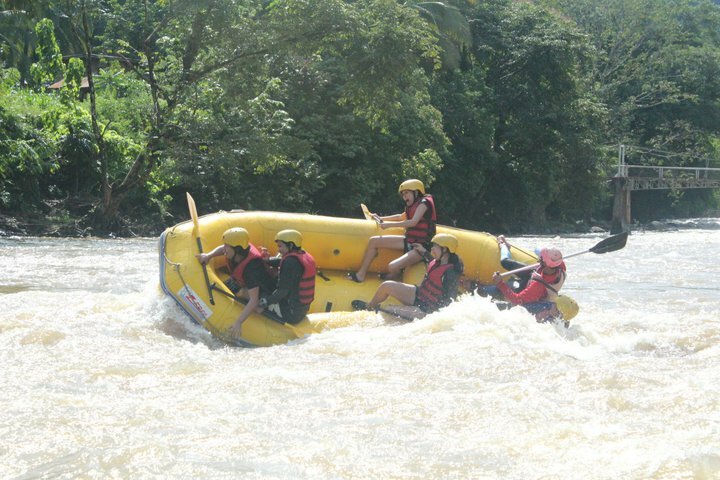 I have yet to try rafting but it looks like a lot of fun even if I end up in the water a couple of times. I've tried the zipline before but not as long as the one on this post, I would love to try that as well. 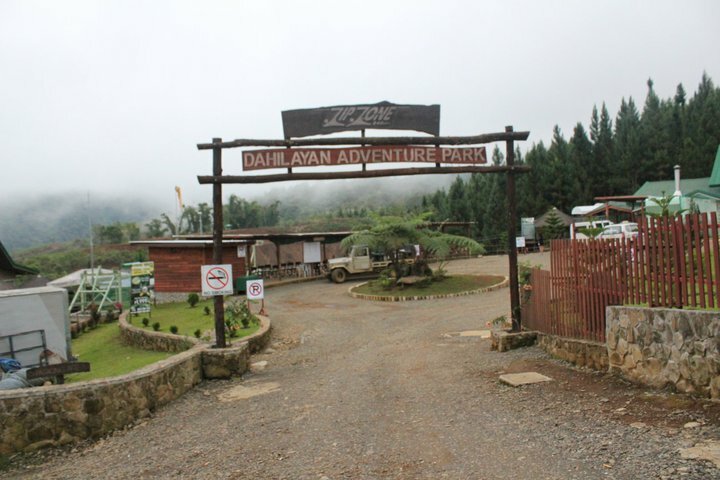 CDO and Bukidnon look like good places to go to! I would want to try the white water rafting. Too bad when I was in CDO, I still can't afford to indulge in activities like white water rafting. 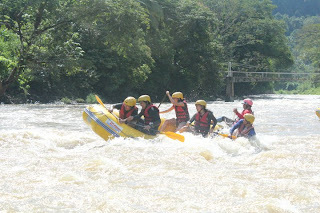 ang saya.. miss ko to sobra..
White Water rafting sa Bukidnon and CDO is superb! Good thing na On The Dot yung Great White Water Tours..
eh late na dumating tapos iniba nila yung plano sa napag kasunduan. So yung ibang itinerary namin sa CDO nadamay. 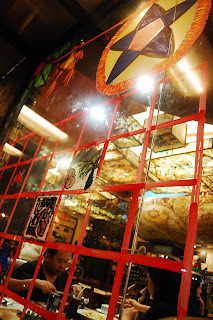 yung samin kasi maganda naman yung camera at lens, but the pictures are amateurish. If I had to buy my own pictures, sana eh gandahan na dibah. I hope Cebu will have a white water rafting site soon, but i'm not just sure if there's a location that we can do that here. 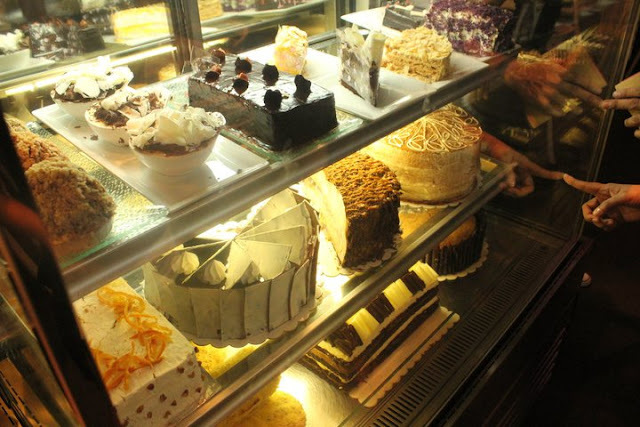 I haven't tried it yet but one thing for sure if i will go to CDO, I will try this. 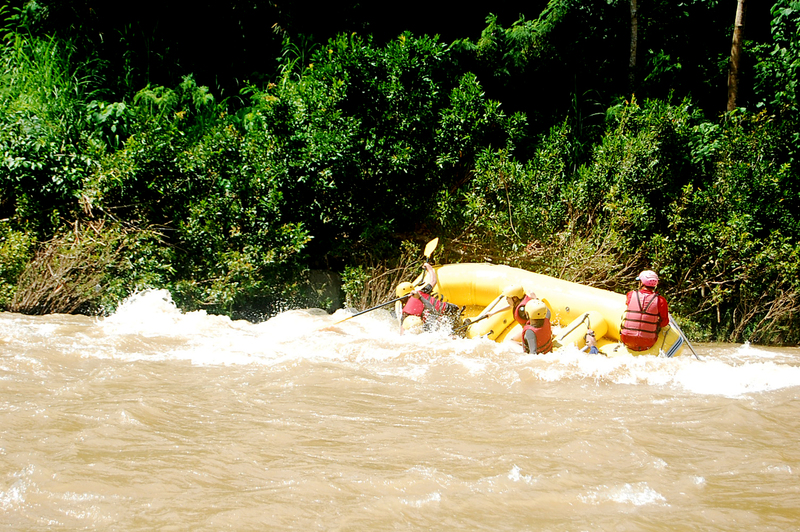 I've been to CDO many times but haven't tried the white river rafting. This sounds cool especially when you're with your friends. I was on CDO several years ago on a business trip for a few days. I was not really able to enjoy the place 'coz of busy schedule. Anyway, I wanted to get back in there for some relaxing vacation maybe next time. Good for you, I think this trip of yours was well worth it. tried white water rafting also in cagayan de oro once... it was one thrilling event, glad there were no tip-overs in our ride... hehehe. Yahweh bless. I've been to CDO but we just passed there. 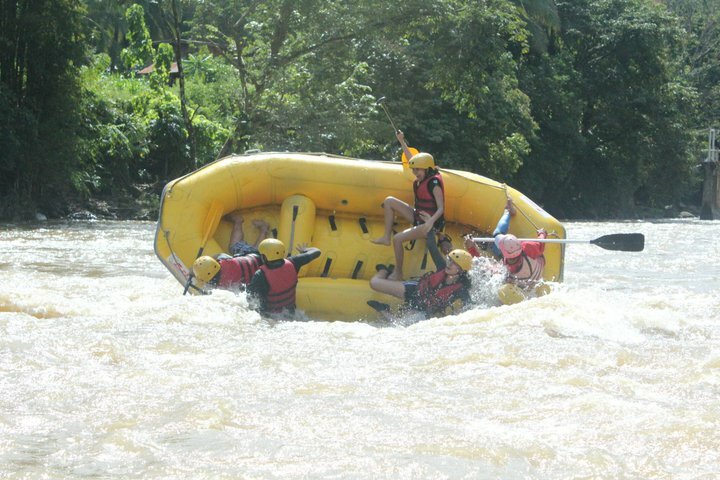 I would really love to try the water rafting. It's such an extreme adventure for me and I think it's really very enjoyable. I wanna experience that white water rafting. Wow! :) . Hope I can travel like you do! Ang sarap maging traveler. 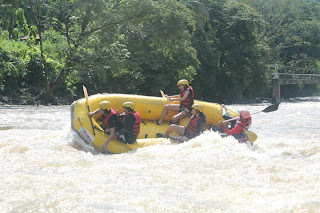 BTW which is more fun kaya, white water rafting in CDO or shooting the rapids at Pagsanjan Falls. been in cdo and bukidnon in the past years ... but never experience these activities..my tour there for events, and be back in manila right after the event... hope to go back and stay to wonderful cdo and bukidnon !!! Wow! That White Water rafting would probably get my adrenaline going. 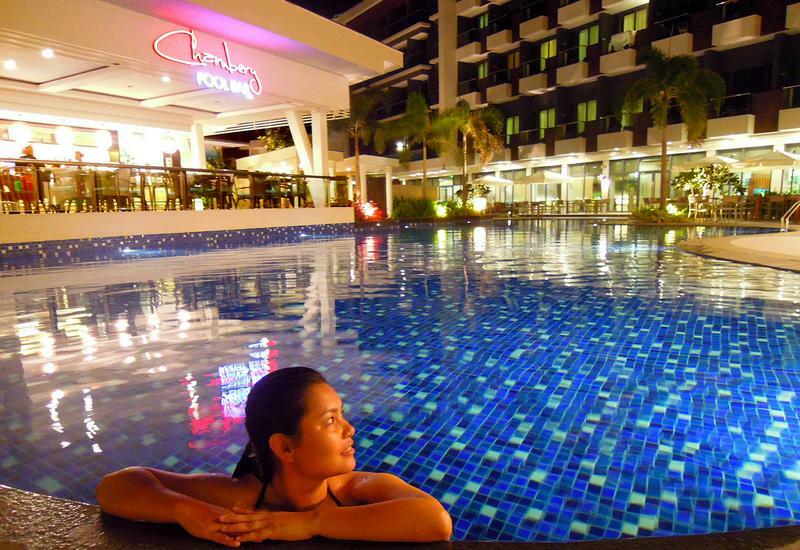 I hope I could visit CDO soon.